The Futura LS Workcenter with Tilt includes a "three-in-one" desk space that complements any work setting. The sleek design creates a seamless desktop without taking up too much space. 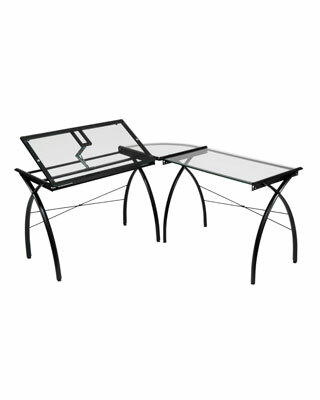 One side of the table stays flat while the other can adjust in angle up to 45 degrees. Arrange the placement of tables to your liking during assembly. The Workcenter can be used as a drafting or light table. Corner Connector: 20" x 20"